I once saw and interesting clip on television. Someone stood still in a public square and looked upwards, staring into the sky. It wasn’t long until others stopped and gazed upwards, or glanced skyward to see what it was that others were staring at. Maybe I should try it in Syntagma some time. We are now in the Week of Prayer for Christian Unity – always a challenging week in many respects. The Christian church is a kaleidoscope of different expressions. We are rich and varied. Shameful history has shown that the differences can lead to violence and oppression, and worst of all Christians have slaughtered one another because of the divergence of understanding. Diversity is both a blessing and a curse. Dis-unity in Christ’s church is, and always has been, a scandal. Unity of one of the main themes in this Epiphany season, and this is principally because unity is a sign to the world of the glory of God in revealed in Christ Jesus. Where there is no unity there is no revelation of glory. Imagine that! At international levels there is dialogue between the great churches of the world, as well as local bi-lateral conversations. These conversations allow theologians of the different denominations to discuss areas of agreement, and to reconcile those areas of deep disagreement. History and practice often distorts the truth contained in each church. 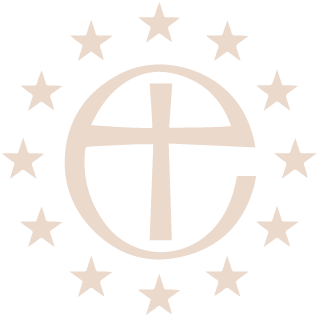 One such conversation has taken place between the Church of England and the episcopally led Lutheran churches of Scandanavia. This resulted in the Porvoo Agreement, named after the town where the Agreement was signed. This agreement has meant that the 2 sides recognize that we have so much in common that we can even have an interchange of ordained ministry – that we fully recognize the validity of the ministry of each other’s churches. This is not just a theory for us. For a time now, after moving from their base in Piraeus, the Swedish congregation, which is Lutheran, has been using St. Paul’s church for their worship. We have been able to make use of the facilities of the Swedish Centre, a good deal both ways. I am delighted to say that we have been able to take one more step together. For some months now we have been moving gently in the background to acquire the appropriate permissions for Fr. Bjorn Kling to celebrate Anglican services for the Anglican congregation. Just the other day our Bishop’s office sent out Bjorn’s Permission to Officiate, and he celebrated the eucharist with our Wednesday congregation last week while I was away in Scotland. Together we can show the beauty and the glory that is revealed when, as one of the Psalms says, we live together in unity. In Thessaloniki, the Revd. Nathan Moser, who comes from a Presbyterian Free Church background, leads the worship of our Anglican congregation from time to time. He has an Ecumenical Licence from our Bishop to lead worship in Anglican contexts, and I have been discussing with Nathan how he can take more so a share in the leadership of our Thessaloniki Anglicans. Our congregation here at St. Paul’s is constantly a mix of Christians from all different traditions of Anglicanism, and different denominations, and together we are an expression of a diverse group of people worshipping and living together in unity. The vast majority of people in our churches want to live and work together. I don’t want to present too rosy a picture. Division is still there, and still deep, and still a scandal. Some things will not easily be resolved, but as we seek for unity and pray for unity we should identify what we have in common and rejoice in it, rather than halting before the hurdle. When he addressed 800 Roman Catholic bishops at the Vatican five years ago, Archbishop Rowan Williams chose not to talk about the problems that divide, but rather to focus on the mission of the church through contemplation of God, about us all gazing towards God, facing in the direction of Christ. It is Christ who is the point of unity, not church agreements. Face Christ together – gaze upon the face of Christ together, and when we do this we are one, and God’s glory is revealed to the world through us. It comes back to the person standing staring up into the sky in the middle of the public square. It doesn’t take long until others stop and stare with him. It is so compelling.